Once logged into DMS Web, click on the ES tab. Essential Services screen will open. There are different search options, Staff Plan ID, Site Description, Department Description, Business Unit, or Local Number. Staff Plan ID: Typically formatted as numbers and decimals (eg. 1.4.5.000142). Searching on this field should only display a single result if the Staff Plan ID was fully typed into the search box. Site: This should display a list of each unit in the site, along with a site-wide summary of regular and essential hours cumulative of all the site’s units. Department: This will show all units that match your search term, so it’s best to be specific with this search in case of similarly named units across different sites. Business Unit: This will show all units that match your search term in their Unit/Area field (eg. Home Care). Local: This will display all units in a given local number that have had their site and unit names matched up with the information we have in DMS (eg. 211). Choose the search type, then enter in the criterial and click Search. Essential Services Interface will appear. Local: The local number we have assigned to this unit (if applicable). Staff Plan ID: The Staff Plan ID Number supplied by AHS. Site: The name of the site. Dept/Service/Program: The name of the department/unit. Zone: The zoning description (eg. Calgary, South, etc). Bargaining Unit: The name of the bargaining unit to which this department belongs. Unit/Area: The name of the business unit to which this department belongs. Total Regular Hrs Regular (On-Call): The total number of hours assigned in the regular shifts table with on-call hours in brackets. Total % Regular (On-Call): The percentage of regular hours assigned vs. on-call hours in brackets. Total Hrs Essential (On-Call): The total amount of hours assigned in the essential-shifts table with the essential on-call hours in brackets. Total % Essential (On-Call): The percentage of essential hours assigned vs. essential on-call hours in brackets. The colored text in the top right corner of a box will open a popover that allows you to change the status of a given unit (eg. approved, in negotiations, etc.). If you are on the Essential Services Steering Committee, you will also see a blue “Approve” button below the colored text which allows you to mark a given unit as approved. When you click on Status, a pop-up box will appear to change the status. There is a drop of different statuses. Click on the correct one and then click on Confirm. The Document Button with the Edit Pencil inside of it opens a new window where you can add, edit, or delete notes about a specific unit. The Print Button will open the print window allowing you to print out the tables shown in a given unit. 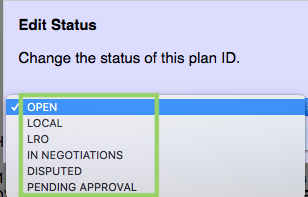 The Blue Up Arrow Button will open the selected staff plan ID in a new window. Enter a note and then click Add Note. To close screen, click on the Red Circle in top left-hand corner. Logout will log you out of the system. 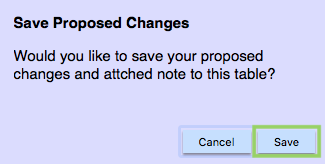 Once the note is created, it can be edited by clicking on the Pencil or deleted by Trash Can. Current Shifts contains tables with shift information supplied by AHS for Direct Nursing regular shifts, Direct Nursing essential shifts, and Auxiliary Nursing and Paramedical Professional shifts. In the Current Shifts table, you can click on the Green Checkmark or the Red X in order to mark a row of this table valid or invalid. Once marked, a new row will appear allowing you to leave a comment on why you marked it valid or invalid. When deleting a comment, click on the Trash Can. A pop-up confirmation screen will appear click on Delete. 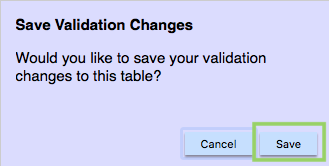 These changes will not be saved until you click on the blue “Save Validation” button. Once clicked, a pop screen will appear click on Save. The Shifts Per Day area is also viewable. It shows an overview of the shift types, employees on each shift, and how many total hours per day. The Drop Down Arrow on right hand corner will expand and contract the display of information. UNA Proposed Changes contains one table and some summary information for shifts that we add in ourselves. 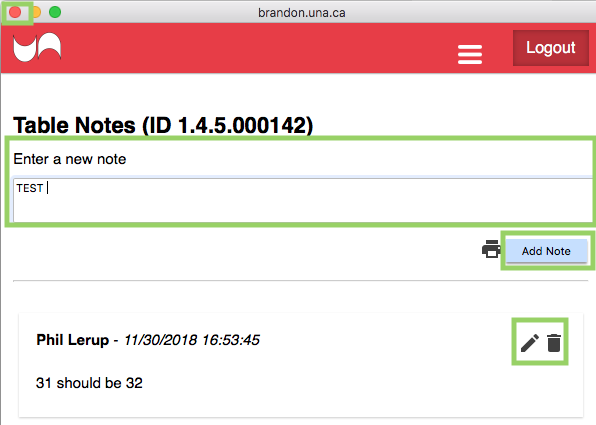 In the UNA Proposed Changes section, you can add a row to this table using the Green Plus button and a blank line will appear. You can specify shift information in the rows you add and press the blue Calculate Totals button to show the total hours that you’ve entered into this table. To delete a row added, click on the Trash Can. A pop-up screen will appear click on Delete. You can also leave comments for this unit in the General Comment box at the bottom. 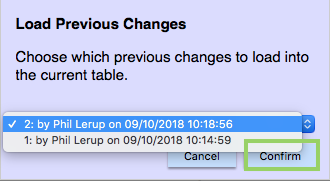 Your changes to the Essential Shifts table and General Comments box will not be saved until you click the blue Save Proposed button. A pop-up box will appear. Click on Save. If there are previous versions of proposed changes or general comments, you will see a Load Previous button. Clicking this will open up a popover with a drop-down list allowing you to display a previous version of these changes. Make sure you save your own changed version before loading a previous version because it will be overwritten. A pop-up box will appear choose the previous changes you would like to load and click on Confirm.